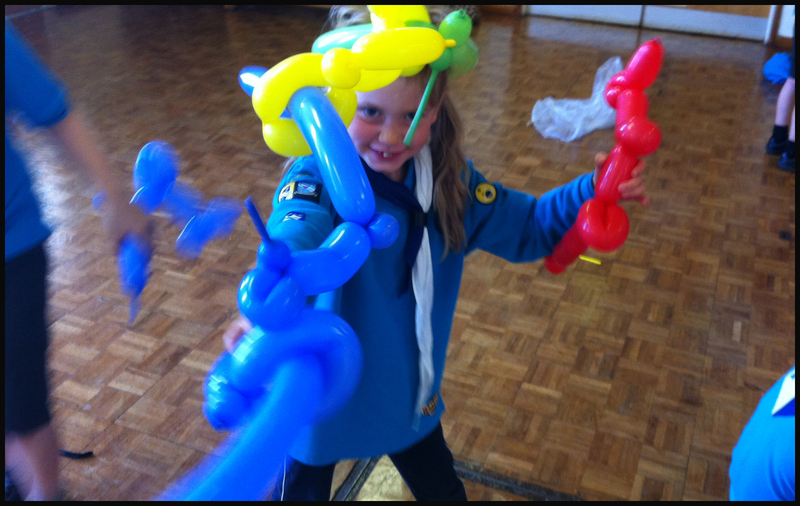 Balloons are not just for parties! 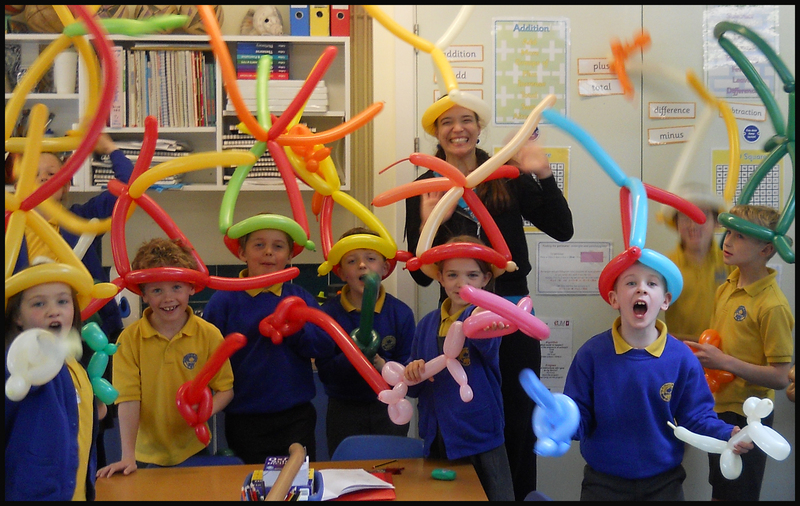 They can really engage children and present a new and innovative way of learning! 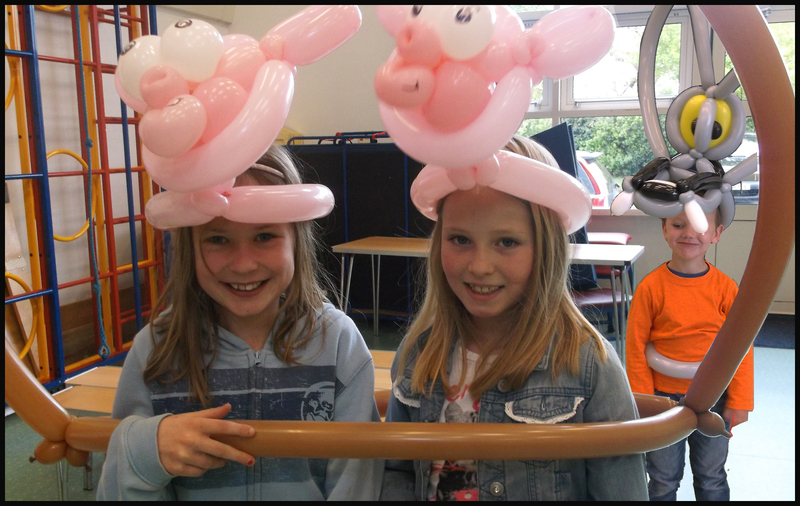 Our school packages are suitable for either an assembly with the whole school in which we use up to 20 volunteers, or if you want all the children to be involved we can do classroom workshops for up to 30. 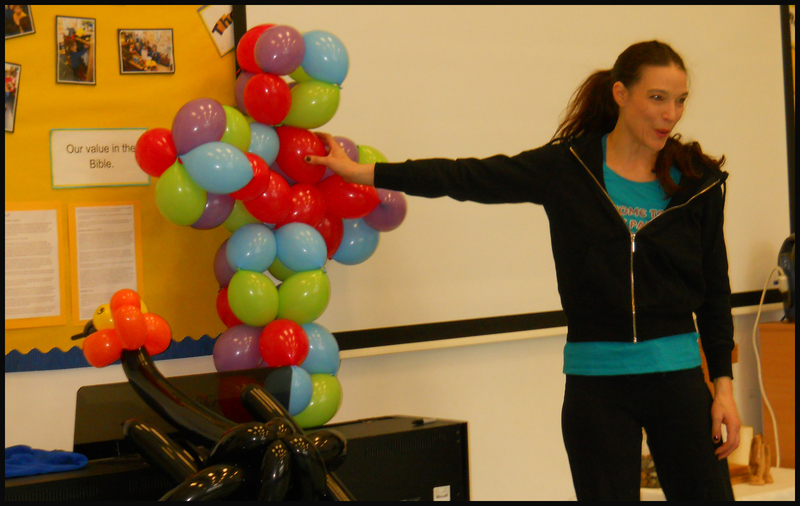 Our Primary School classroom workshops & science assemblies link directly to the curriculum in a fun and engaging way . 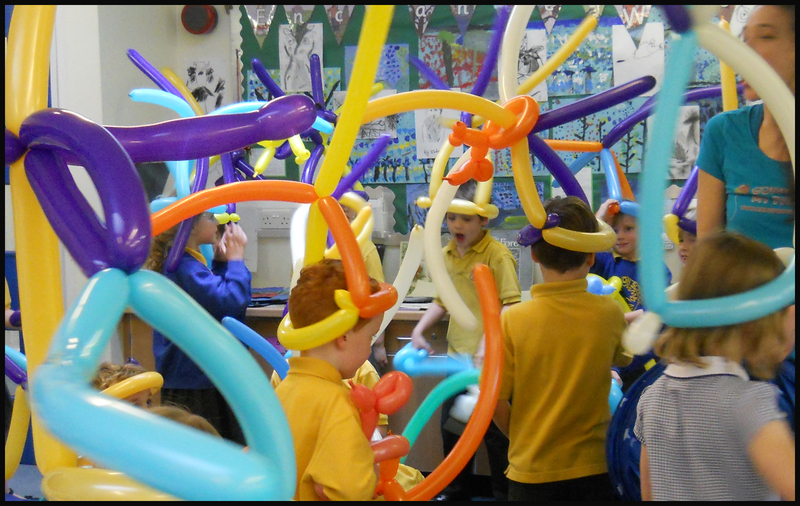 Balloons really captivate the attention and imagination and so are a great tool in applying them to various leaning concepts which then tie in with the National Curriculum. Science and mechanics are very much applied to our Mouse Trap Balloon Show which explains simple machines. 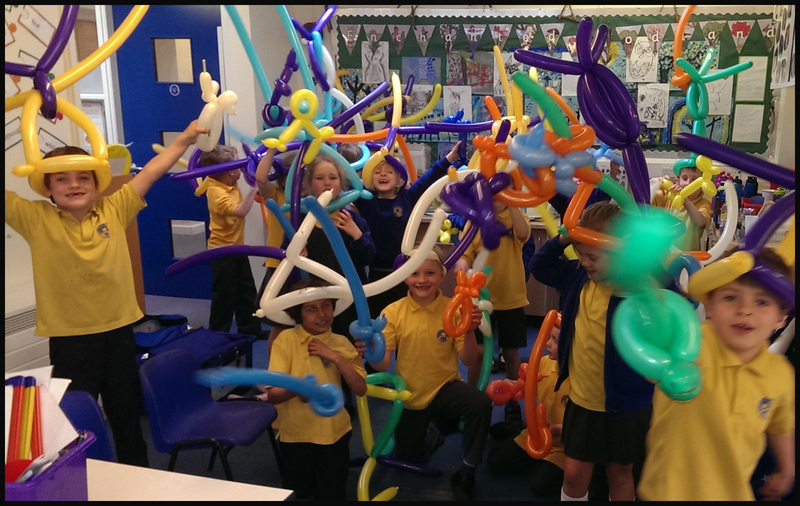 Simple mechanisms including levers, pulleys, inclined planes, and screws are part of the primary science curriculum and the unusual application of balloons to demonstrate these concepts really grabs children’s attention. It is a really entertaining show suitable for any number of children from small to big schools and involves a lot of the children up in ‘stage’ helping demonstrate. These concepts can be taken further after the show with the included PDF booklet which the school can print to reinforce what was learned. 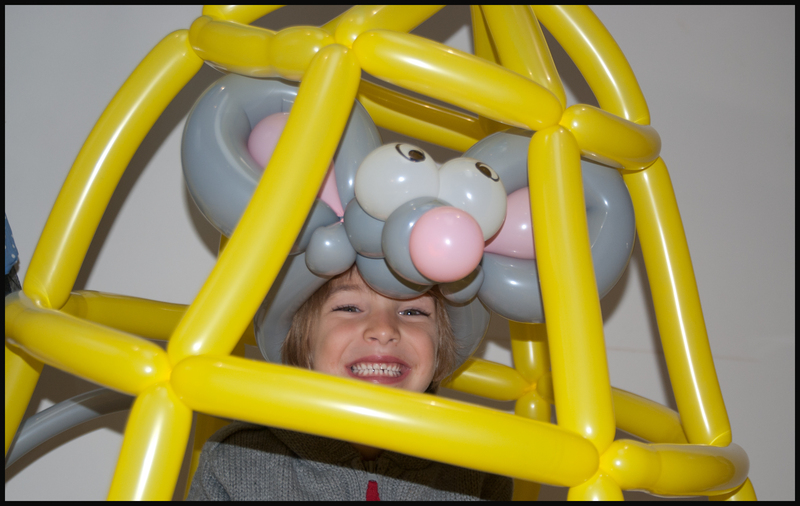 Please see more on our MOUSE TRAP BALLOON SHOW page. 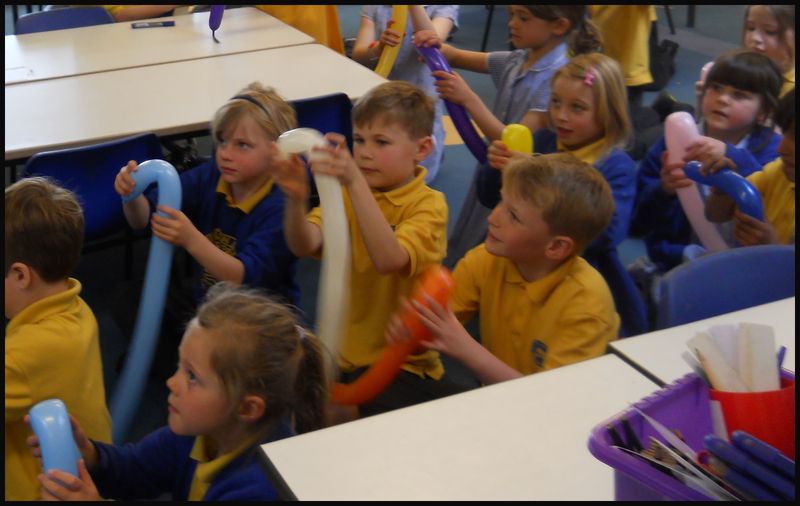 We also have other assembly packages which use the balloons in story telling – these can be linked to a story being explored in class or the school values. 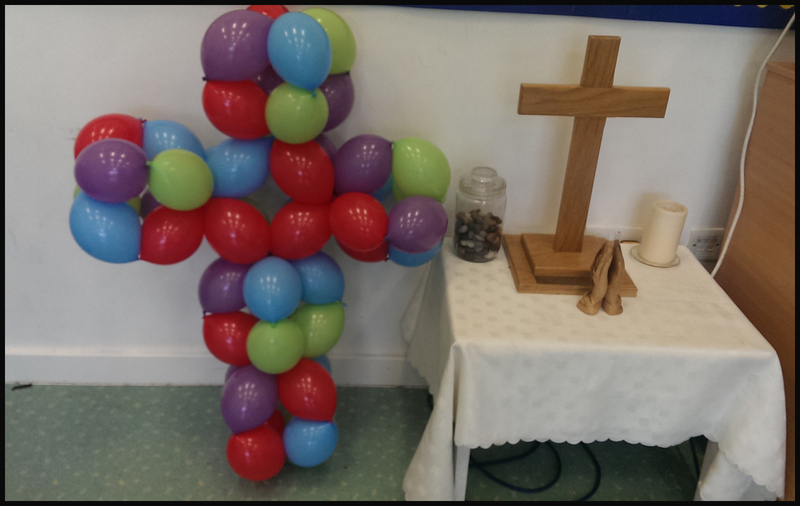 Volunteers are used involving lots of the children to use the balloons to help visualise a story. 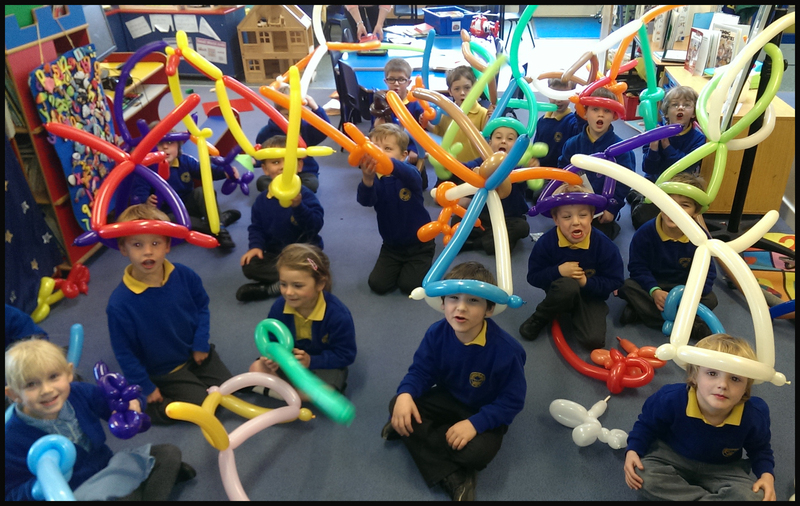 The assemblies are a great introduction to classroom workshops where the children get a chance themselves to make several basic balloon models they can then take home. Clear instructions and steps are worked through together, and these ideas can also be linked into topics such as coding within the curriculum, as well as more obvious links such as art. 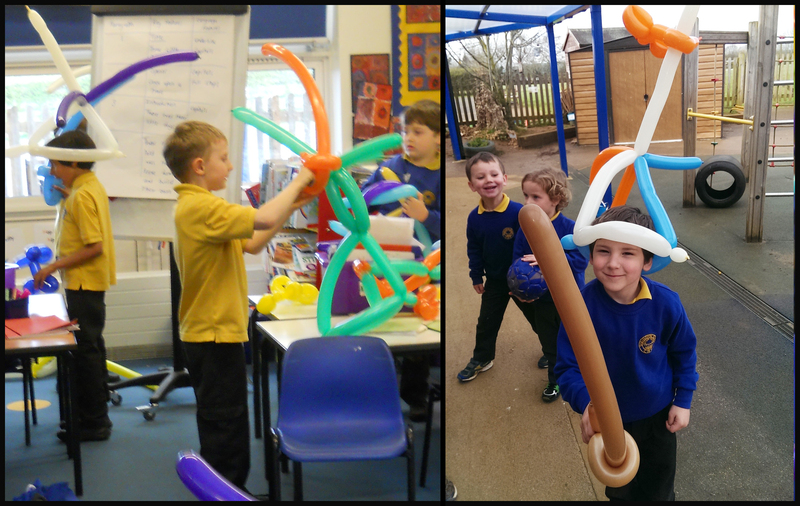 Further exploration of the workshop can be developed with the children writing up the basic steps to create eg a balloon dog. 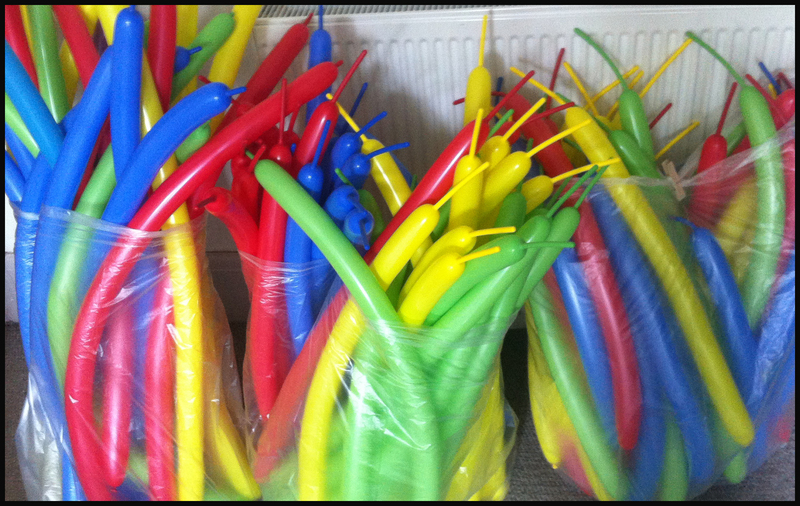 The balloons arrive pre inflated so there is no need for tying knots or trying to inflate. A leaflet PDF is also included with this workshop for the teacher to print and continue the development of the concepts introduced. 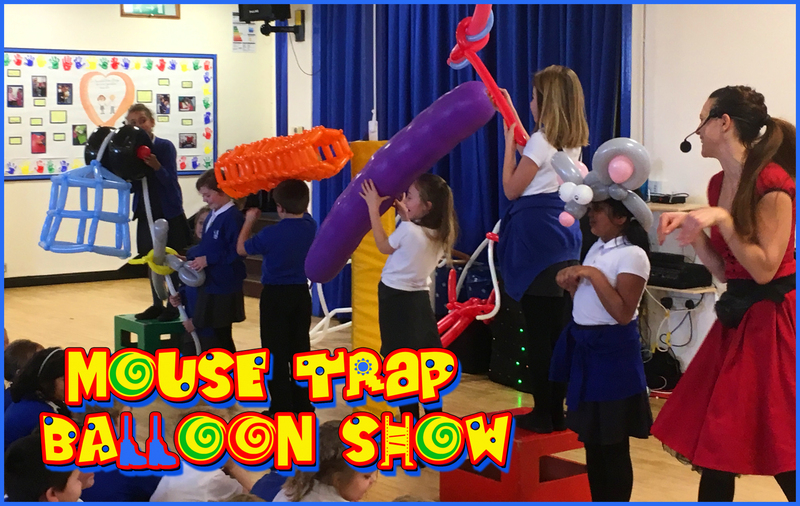 Please see the pictures at the bottom of this page to see some of the fun we have had, and also do check out the MOUSE TRAP BALLOON SHOW page for this exciting new science and mechanics based hour long show. All our school packages come with printable material for the teacher to continue developing what the children have learned through their experience with us. There are various package options for schools programs from just an hour for the whole school, to separate classroom workshops. Please get in touch with us at info@cometomyparty with your requirements. 1) Mouse Trap Balloon Show. Introducing simple machines included in the KS2 curriculum such as levers, pulleys and wheels and highly entertaining for all ages. 1 hour. 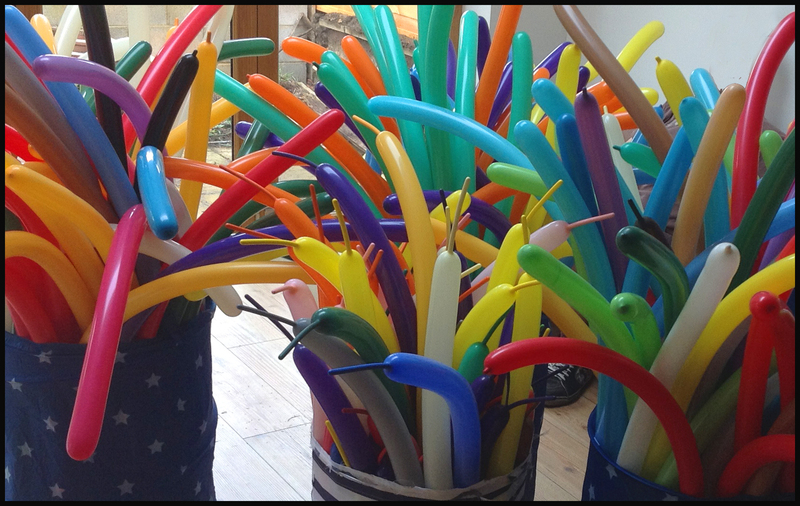 2) Mouse trap Balloon show – 1 hour. Plus 45 minute workshops ( with 15 minutes preparation time required between each) for as many classes as required. Max 30 children per workshop. 3) Introductory assembly. Followed by as many workshops as required. All packages come with printable material for continued learning.